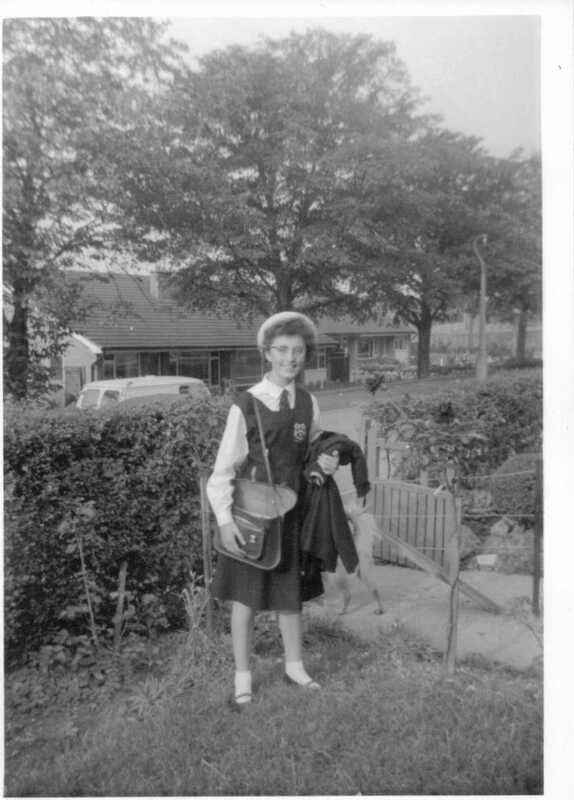 This old photograph was taken in 1962 and it shows an eleven year old me in my new school uniform, ready to go to High School. In order to get to the ‘High School’ we had to pass the 11-plus examination at the end of Junior School. My mum promised me a transistor radio if I passed! The 11-plus was more of an intelligence test than a proper exam. I passed and got the radio. I was delighted. Now I could go to the best school in the town and I was as pleased as my mum and dad were proud. I had to be kitted out with the uniform, which was extensive and expensive. I had two sets; one for summer and one for winter. The winter uniform consisted of a felt hat, white shirt-blouses,tie, navy blue tunic,large navy blue knickers,white socks and sensible black shoes. I also needed a blazer with a badge on it, plus a badge to go on the tunic. This showed the school emblem. In the picture I am wearing my summer hat, which was a straw boater. We could choose between three colours for the summer uniform. The choice was yellow, blue or pink gingham and I have to say that the girls looked very nice in their pretty colours. We also had to have a sports kit. The least said about that, the better. I had the same pair of black plimsolls for five years! and I was always getting into trouble because they were black, not white. I lived with my mum at the time and we were very poor. She couldn’t really afford any of it so I would never dare to ask for anything extra for fear of upsetting her. My satchel was leather and had to hold a lot of books. Each day I had to carry the books to school and then back again afterwards. It’s a wonder my shoulder wasn’t dislocated with the weight of it all. Can you remember getting your school uniform at High School? O the times we’ve lived through! What a smile – all that potential! We didn’t wear uniforms to school over here, at least out in the country where my sister and I went to school. Very interesting post. Thank you D-Jan. The best thing about uniforms is that everyone looks the same so there’s no vying with each other to see who’s got the most designer labels on or anything like that. It’s a very fair system, in my opinion. I know I was very proud and happy that day. I was going to the school of my choice and I had the uniform to prove it.